Each year several Masters in Public Health students do there practicums working on BEH projects. This year we had Christopher “Toph” Allen, Nicolia Eldred-Skemp and Tanya Kaufman working with us. 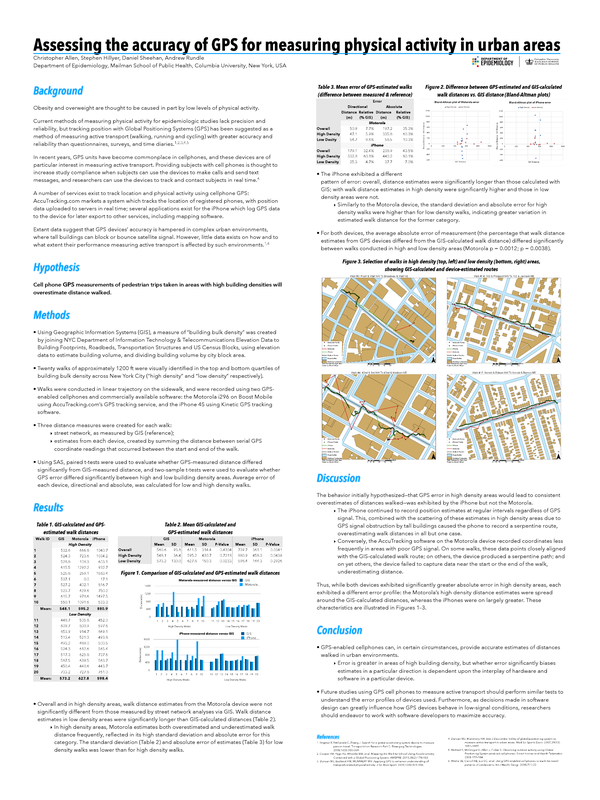 Toph assessed the accuracy of cell-phone based GPS systems for monitoring walking behaviors in various built environments in NYC. 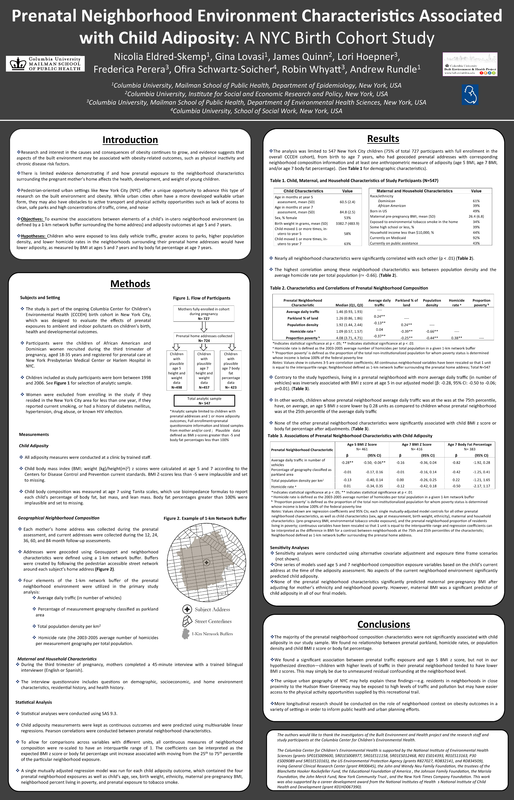 Nicolia studied the effects neighborhood built environments experienced during early life on childhood obesity at ages 5 and 7. 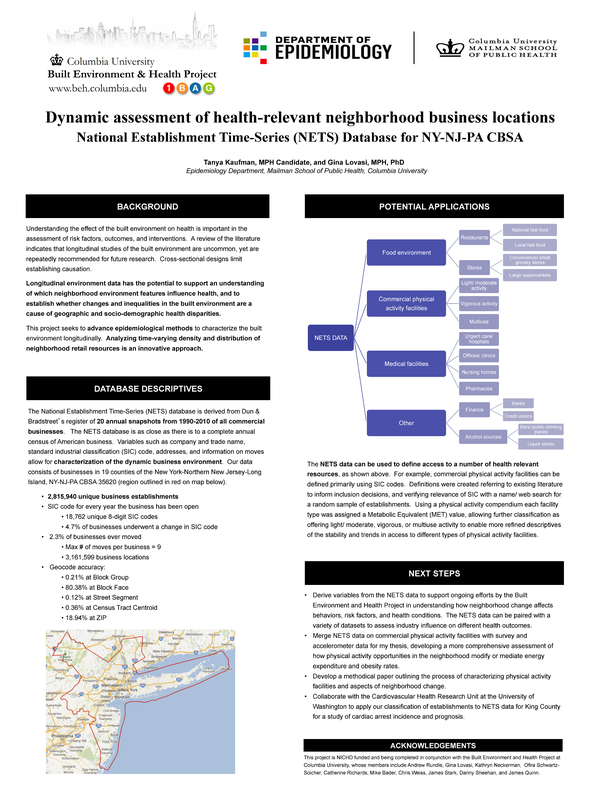 Tanya worked on developing new measures of neighborhood physical activity resources over the past 20 years using the NETS business listing data. 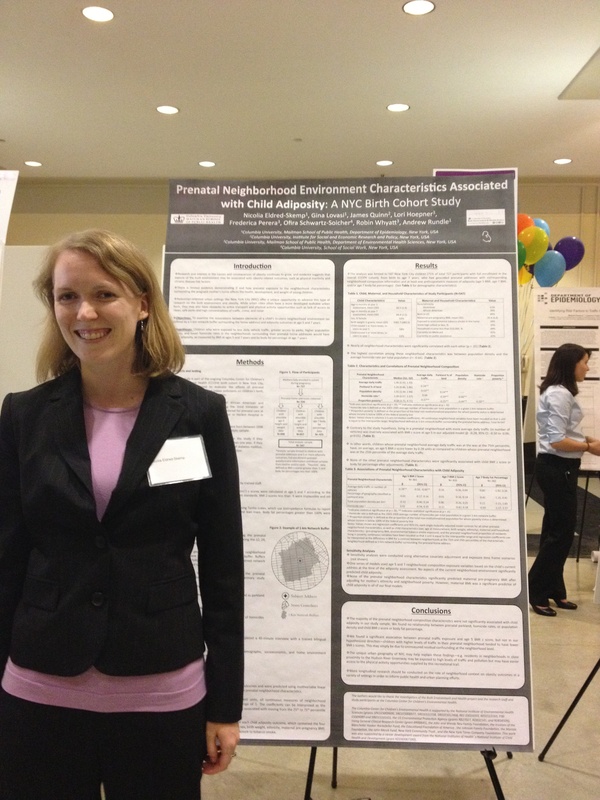 Nicolia’s (to left) poster presentation won an award at the Department of Epidemiology’s Master’s Student day event.